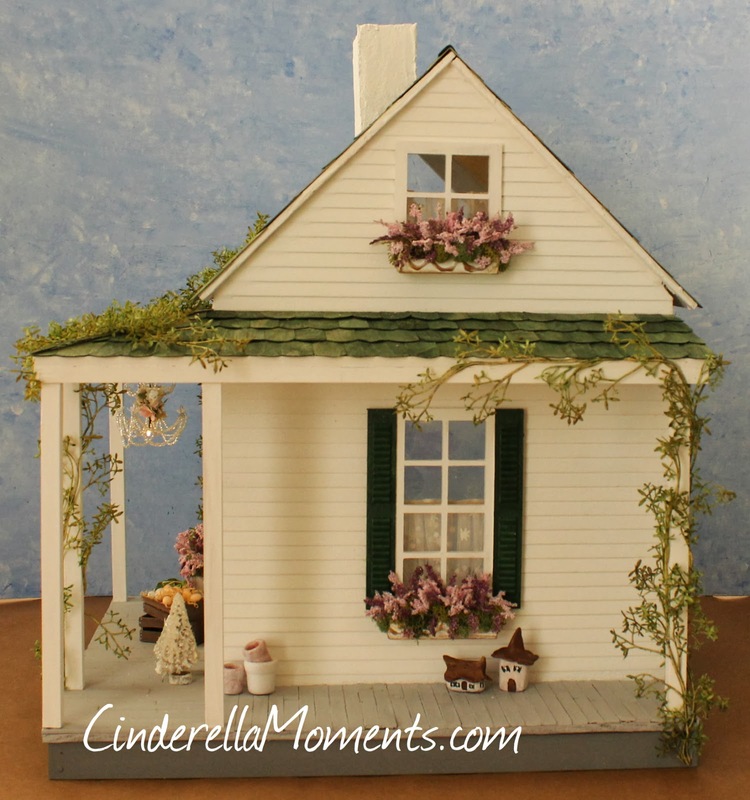 Debbie's Farmhouse dollhouse is ready. It's a wrap around porch farm. The front wall has hand carved brick I made from concrete patch. 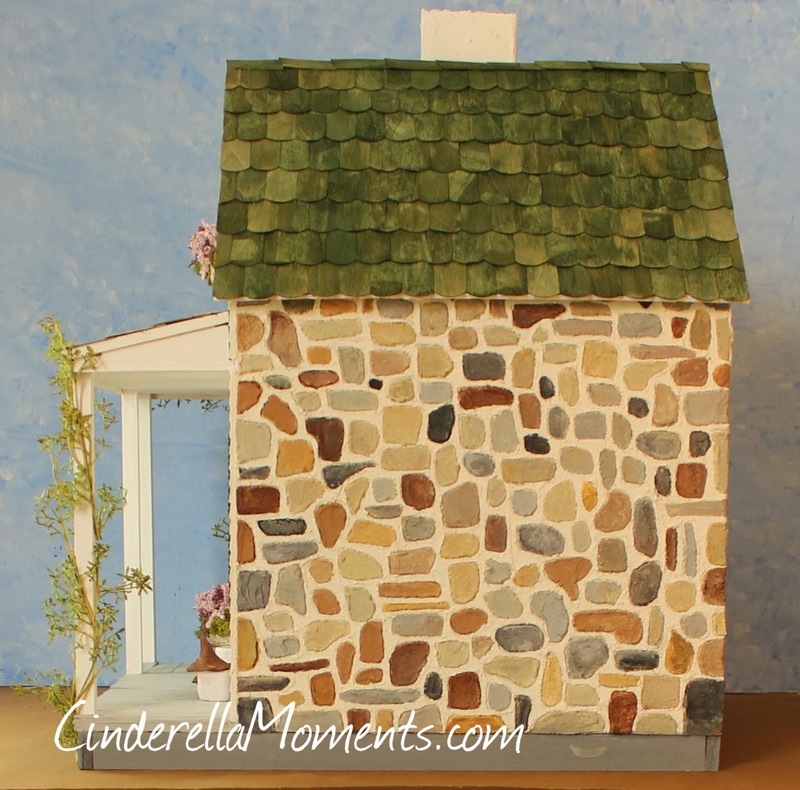 I decided the bricks should be a very light palette. I made the flower boxes from left over scraps of wood. I filled them with moss and artificial flowers I got at Hobby Lobby. They are called Heathers. They are sold as a bush in the regular floral department. 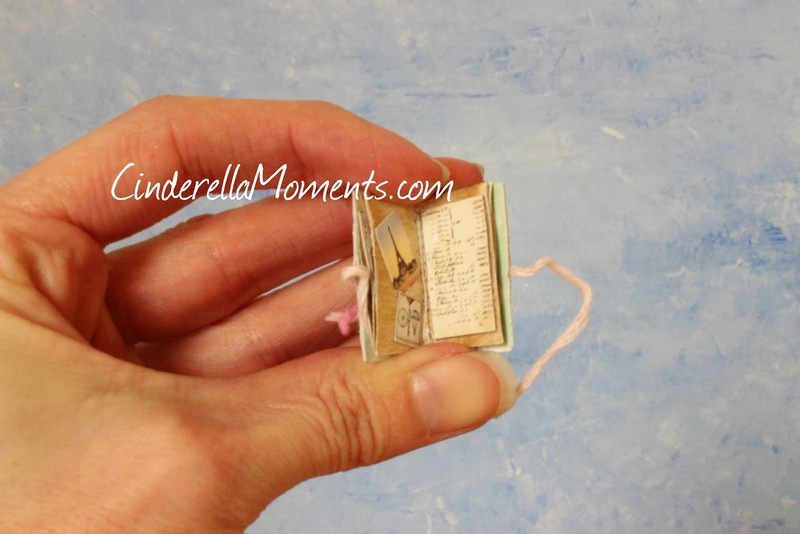 To make them miniature dollhouse size I cut them into little pieces. The vines too come from Hobby Lobby. This side is perfect white siding. And the third side is rocks. It's actually patch concrete I carved as rock and painted. 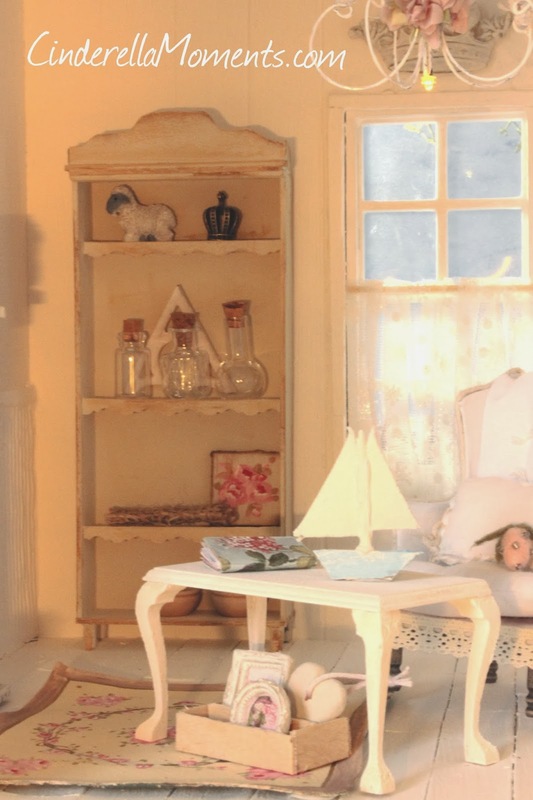 This little house got furniture. Almost everything is handmade. The only things I didn't make is the 2 kitchen pieces(sink & oven). The upstairs has a bed I made from wood veneer. There's an ice cream on top of the comforter. The little book in the front is a scrapbook. It's actually filled with pictures and images. The mantel is grey. Then I applied cream paint over it. I made a cake, dress painting and a glitter house. 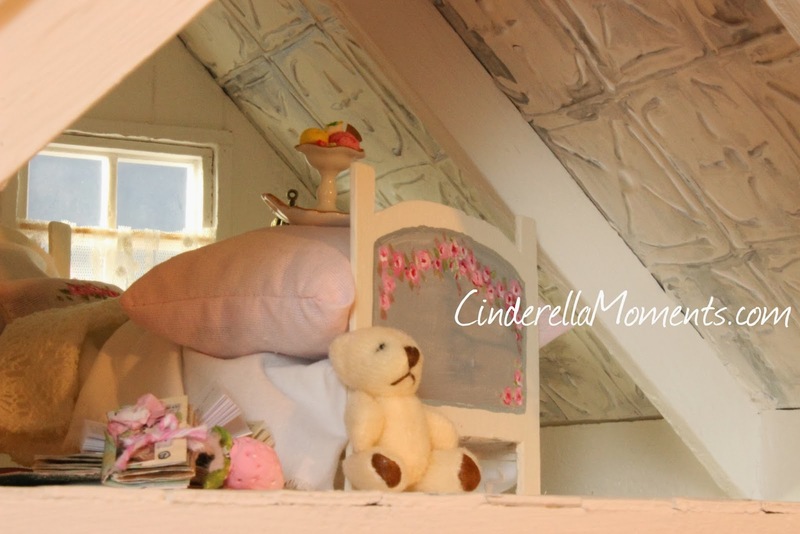 The ceiling is scrapbook paper. 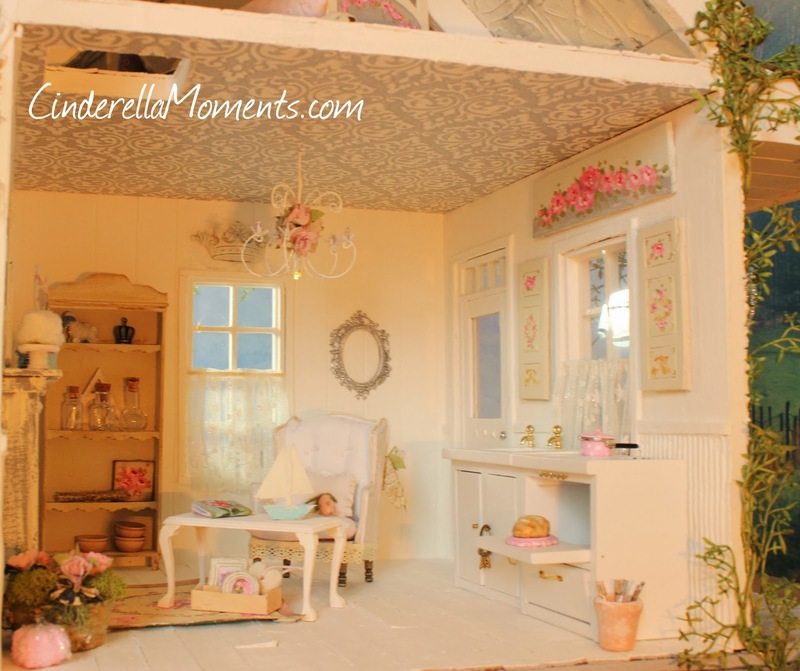 The chandeliers are all handmade and battery operated. The bookcase in the back is made from scratch too. I used the veneer wood for this . 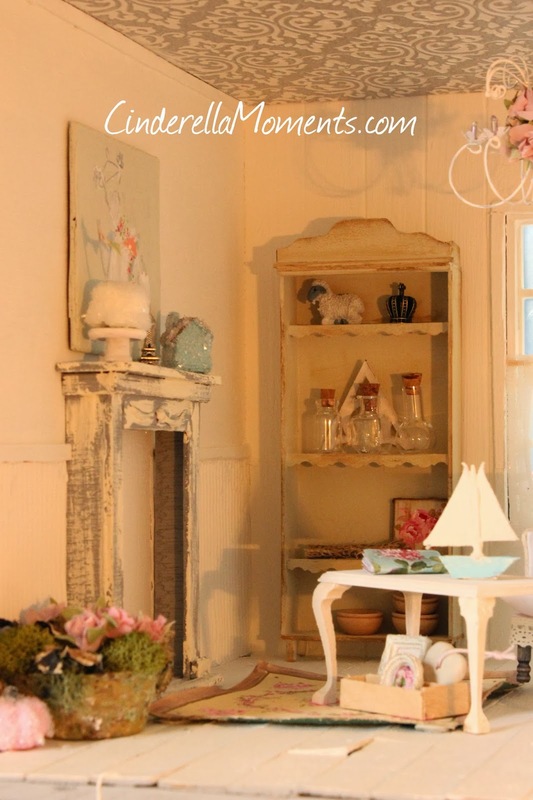 The table in the front was a kit for a dresser. I used the other parts in another project and was left with a table top and legs. It made a perfect coffee table. I made the crates from leftover veneer. The little nail heads are painted on with a gold paint marker. The lettuce head is white printer paper I painted green. Then I cut little rounded leaves and glued them together like a rose. And these little houses are made of clay. Thanks for coming over and looking at the farmhouse! GORGEOUS! Hello my dear buddy! I saw this on Pinterest and had to come to visit and leave a comment. I will repin on Pinterest too. 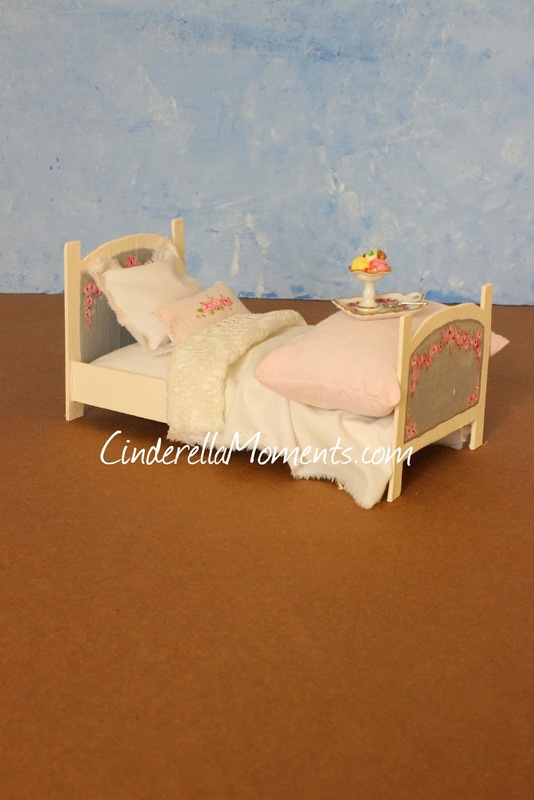 LOVE everything, especially your little bed with the handpainted flowers. 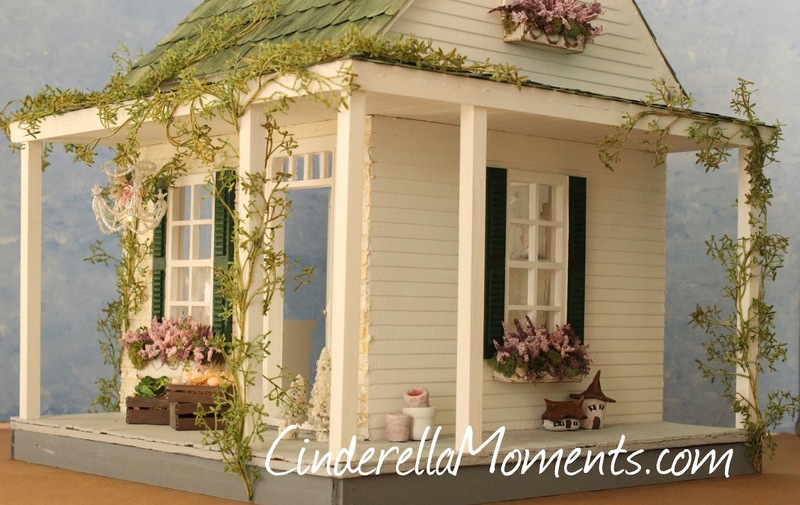 As I always say, YOU ARE THE MASTER OF DOLLHOUSES AND ANYTHING MINIATURE!! Gorgeous work, dear friend. Debbie's Farmhouse is fab! Oh my....goodness! You did a fantastic job on creating the entire thing...all those wonderful walls and floors, the fireplace! 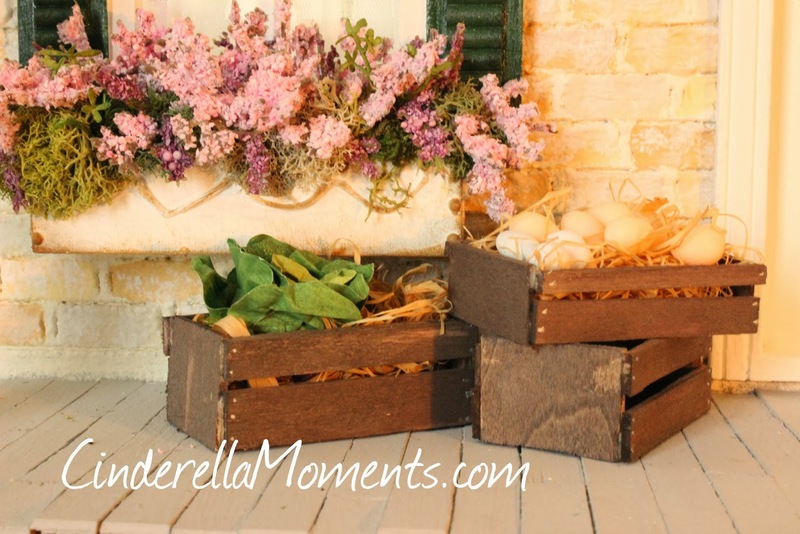 The furnishings and extra touches like the crates on the outside.....oh so brilliant too! Very nice! I appreciate the tips on where you found things you used. I have a structure which is about the same size-maybe it's time to finish it. Thanks for the inspiration! Это так восхитительно! Прекрасный фермерский дом! Он такой воздушный, изящный! Интерьер прекрасный, столько деталей, которые хочется бесконечно рассматривать! Каролина, ты проделала фантастическую работу! I just love this house. I love the houses with the verandahs and I think this house reminds me a bit of my neighbours farm house when I was growing up. I just think it has a beautiful relaxed feel and I love the colours. Your furniture is lovely and the plants really add to the feel of the house. Just gorgeous. wat beeldig huis en een klein mooi boekje. wat ik vragen wil hoe groot is jou huisje eigelijk??? 48.8cm tall x 42.5cm x 44.5cm. Another beautiful project concluded. Congrats! I love your farmhouse. The vines on the outside is perfect, so is the stone wall. The inside is gorgeous and cozy. this house makes me dream. Hi Caroline! 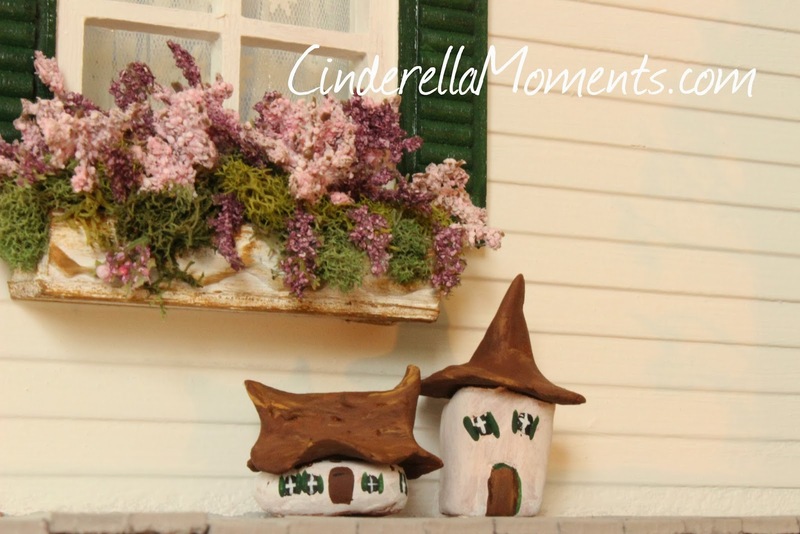 Debbie's farmhouse is so cozy and wonderful! You did a great job on this house. 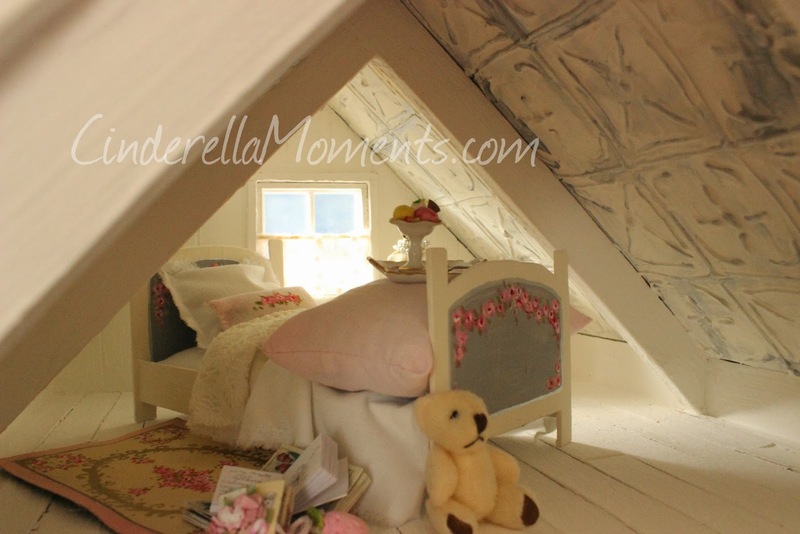 Love the wonderful bed and the little scrapbook! 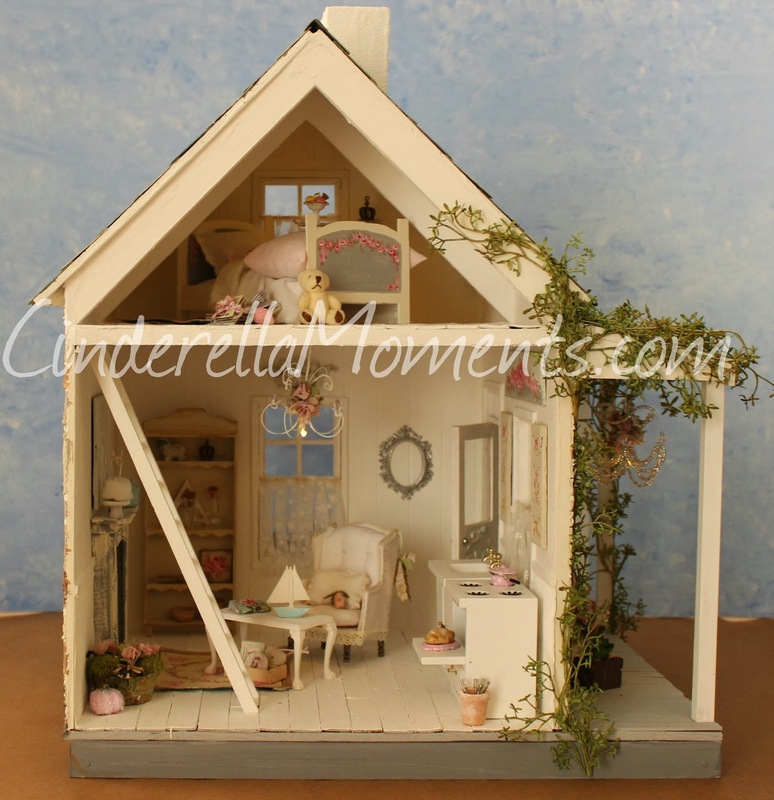 Good Morning Caroline, Your Debbie's farmhouse is amazing with all the detail. Every time I think I have finally decided on a favorite you make something else for me to love. They are awesome. Did you get snow and ice down your way? Have a wonderful weekend. Hugs and Prayers from Your Missouri Friend. Your house is so quite wonderful and with so much personality. Every time I see one of your new house, I think, "this is my favorite", but then you make a new one, and then I lose again my heart. I'm so in love with this house. It has so much Caroline personality. Wat een romantisch huisje heb je weer gemaakt. Oh my gosh Caroline, you just keep outdoing yourself! 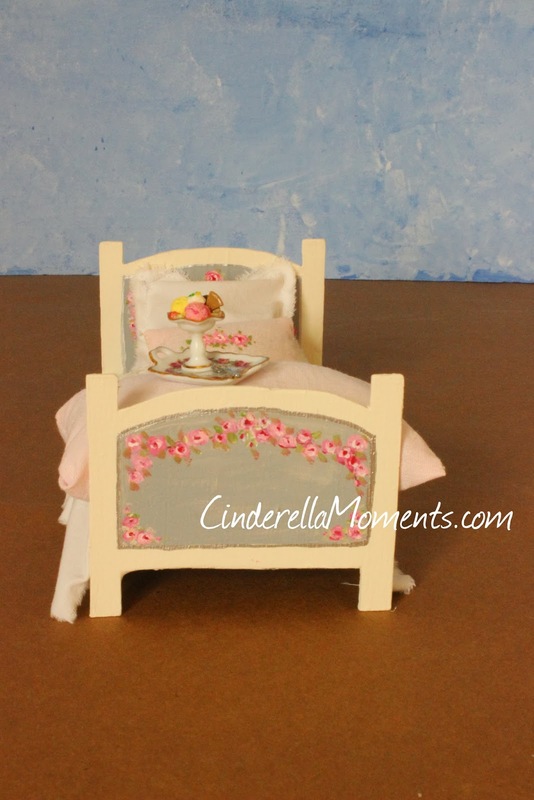 The attention to detail on this one is just phenomenal...the tiny bed with all the tiny bedding! Like Wyrna said in her comment, every time I think one is my favorite, you come up with one even more amazing!!! I love all your houses, but this farmhouse is amazing! No se que decirte , es todo tan bello !!. Me encanta como te ha quedado, llena de detallitos preciosos. Love this sweet farmhouse and colors. You are amazing!!! 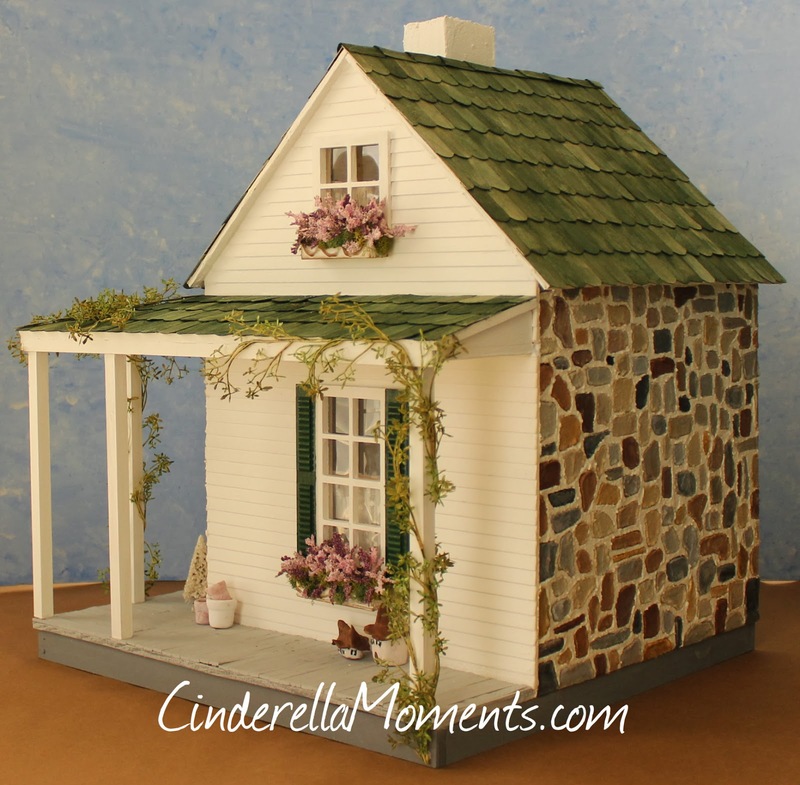 Debbie's farmhouse is so gorgeous and wonderful! I love all of the sweet and adorable little details. Admiro muchísimo tu trabajo y tu elegante estilo. Feliz domingo y un abrazo. Just gorgeous! 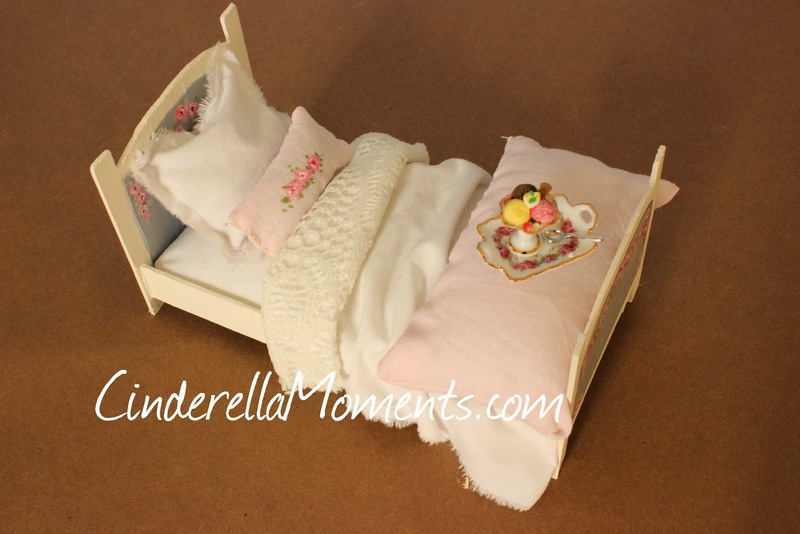 With all the snow that is around, I want to curl up in that adorable bed with a good book! I love your cottage! I love this and I wish I had one. It's so stinkin' cute. 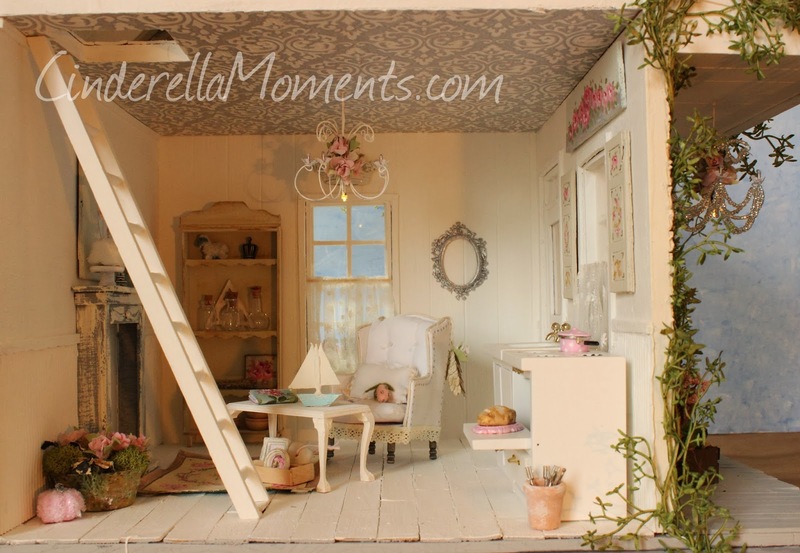 I love every little detail and the furniture is amazing! Вы волшебница! Вы создаете невероятно светлые, ангельские дома! И все сделано нежными руками леди! Фантастика! Вы большой труженик! Каждый ваш домик это огромный труд! Wow your cottage is sooo beautiful. I love everything about it. the furniture is gorgeous. It is always such a pleasure to see your posts. Great work!! I love the vines outside the house. And as usual I love your paint work, the bed is wonderful!! 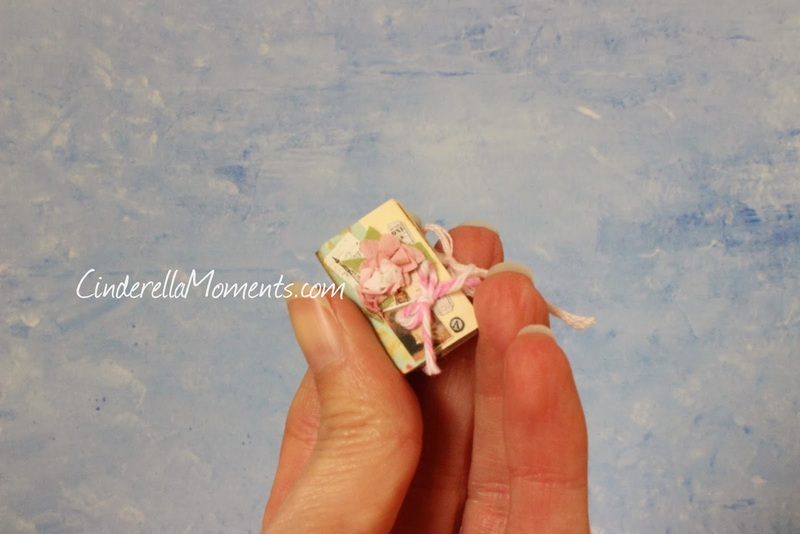 And that little scrapbook is so cute!! The wrap around verandah is just glorious - love the crates on the deck, and those adorable clay houses - another enchanting creation... when can I move in?! What a treasure is this little place! It abounds with charm inside and out and it certainly is one of a kind. 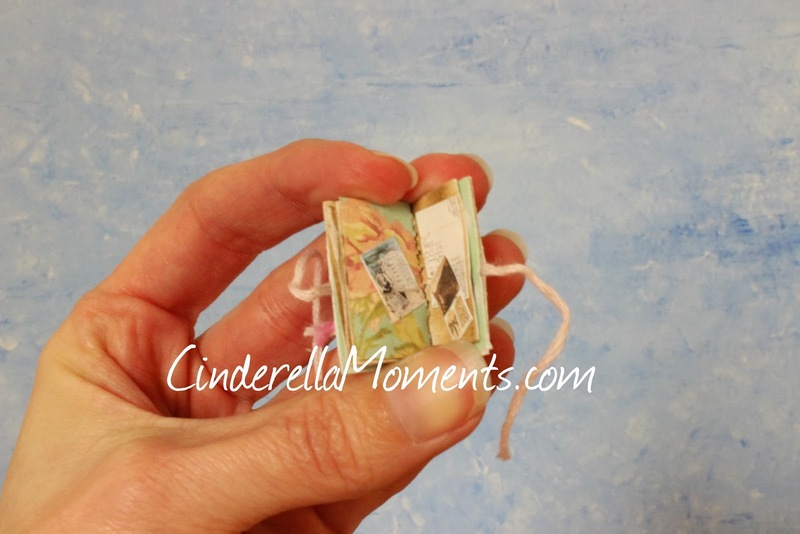 I adore that little book. 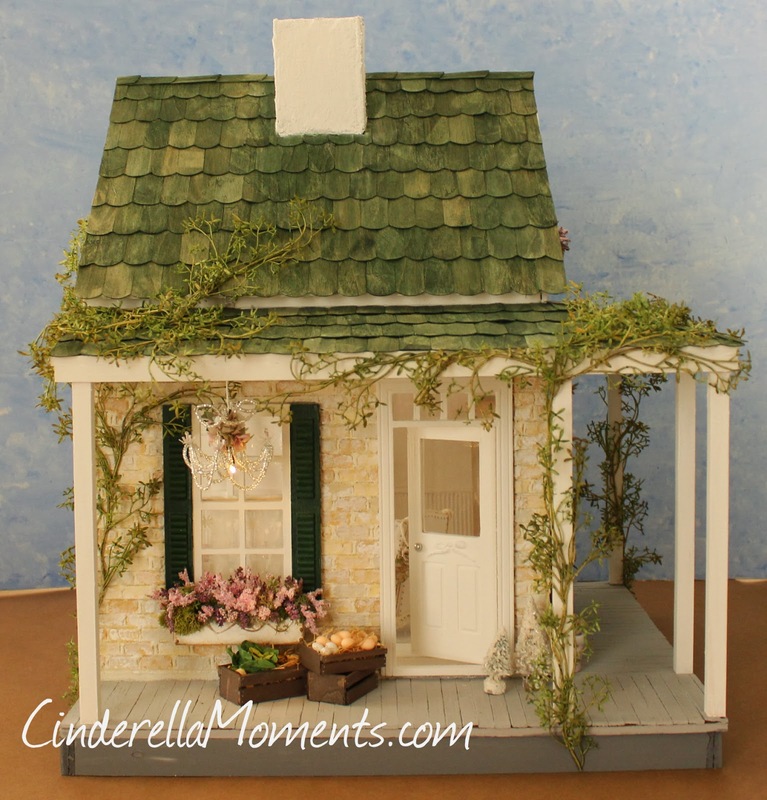 This little house offers such an abundance of eye candy and is certain to bring joy to all who look upon its magic! :) I don't know whether I'm inspired or intimidated. I do know I'm impressed. I love having Followers English speaking. You in the U.S., a country I admire, Britain and even Australias ... I'm Happy. It is a pride for me to have your friendship and care. Hugs and kisses from Spain for You and All U.S.
All the houses and cottages you make are simply fantastic and so beautiful that I think everybody like them!!! They are always fairy like and I absolutely love that! Una maravilla de casa!!!! Me encantan todos esos pequeños accesorios que la hacen tan dulce y encantadora!!! Oh my oh my! Every little bit of it is so stunning! Your attention to detail is fab! I love every little corner of it. que maravillas de trabajos!!!! me encanta todo lo que haces !! con un gusto muy exquisito, elegante y precioso!! !